The Clemmons Family Farm is one of the 23 recipients of the 2017 National Creative Placemaking Fund grants from ArtPlace America. Creative placemaking has the unique purpose of demonstrating how the arts, culture and place can positively contribute to social well-being within 10 different community development categories. Each recipient of an ArtPlace America creative placemaking grant uses the arts, culture and place to support one of the 10 community development categories. The Clemmons Family Farm's “A Sense of Place” project is supporting the community development category of “HEALTH”, which we define by using the World Health Organization’s own definition: “health is a state of complete physical, mental, and social well-being and not merely the absence of disease or infirmity." Our creative placemaking uses African-American and African Diaspora arts and culture-- and a rare African-American-owned farm in Vermont-- to foster multicultural community building. We bring people together to learn, commune and celebrate across differences of race, culture and national origin. Above: Two Vermont artists explore the blooms of the Clemmons Family Farm's 200+-year-old Black Locust trees during a creative placemaking charette funded by Artplace America (June 2018). "A Sense of Place" is a two-and-a-half year creative placemaking project funded by ArtPlace America (2018 - 2020) led by the Clemmons Family Farm in Vermont. Our beloved state is tied with Maine as the Whitest in the nation (94.5% of Vermont's population and 94.7% of Maine's population are White). Nevertheless, a tremendous wealth of diversity of people, arts and cultures exists within our communities. The challenge is that there are not many places that provide an opportunity for people to learn, celebrate and really get to know one other as members of a loving and supportive multicultural community. The goal of the A Sense of Place project is to improve community health (mental, physical and spiritual) and social well-being through African diaspora arts and culture programs held on a very meaningful place-- the Clemmons Family Farm-- and through outreach to six Vermont towns: Charlotte, Shelburne, Hinesburg, South Burlington, Burlington and Winooski. 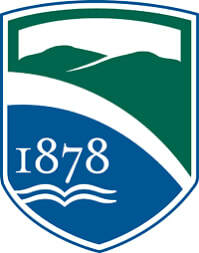 The A Sense of Place project is implemented in collaboration with Champlain College and other Vermont-based implementing partner organizations. 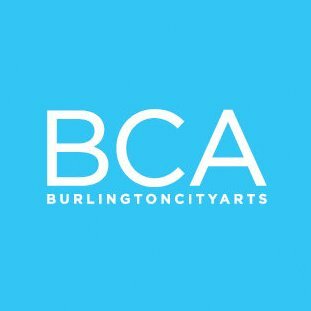 Burlington City Arts Foundation serves as fiscal agent for this $350,000 grant. 1. Increase community exposure to and appreciation of African-American and African literature, spoken word, performing arts, visual arts, culinary arts, and history. 2. Catalyze enriching community conversations around history, heritage and identity in an environment that feels safe and welcoming for ALL people. 3. Foster a loving and dynamic multicultural community in the towns of Charlotte, Shelburne, Hinesburg, South Burlington, Burlington and Winooski. 4. Recognizing that less than half of one percent of all farms in the United States are African-American-owned, preserve the Clemmons Family Farm for future generations as a place where everyone can learn, celebrate and commune around African-American heritage and multiculturalism. 5. Recognizing that land ownership among African-Americans is a rarity, and that most African-Americans have never experienced a spacious open-land environment that is 100% African-American-owned, offer a beautiful historic setting that nurtures pride, hope and a special sense of belonging specifically for African-Americans and others of African descent. o Creative placemaking and multicultural community-building planning and design meetings with project partners, local artists, architects, landscapers, scholars, other community members, and selected consultants.